Katong V has been KKKL pickup point since 2013, we are the only company that operate from eastern side of Singapore. 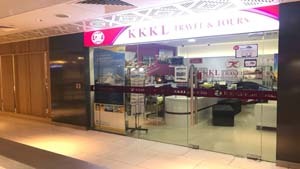 Our office is located at Katong V mall, where it is a mix development, comprising shopping mall and hotel. 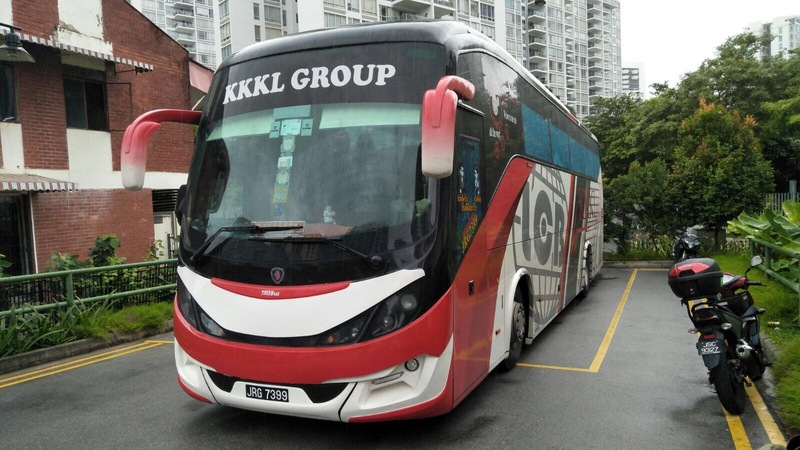 You can come to our office to purchase coach ticket for bus from Singapore to Kuala Lumpur, bus to Malacca and bus ticket from Singapore to Genting Highlands. We have daily departure from Katong V to KL Berjaya Times Square, Terminal Bersepadu Selatan(TBS), Malacca Sentral and Hatten Hotel. Our office is located at level 2, unit #02-13, beside escalator. You will easily locate our office as our office is just above Fair Price Xtra. The boarding point is at the back of the mall, which is outside of the hotel. You will see a very big car park and our bus will be there for boarding. 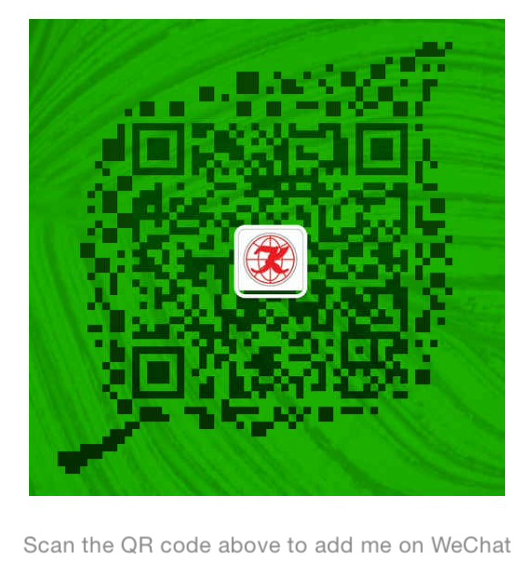 How to get to Katong V? 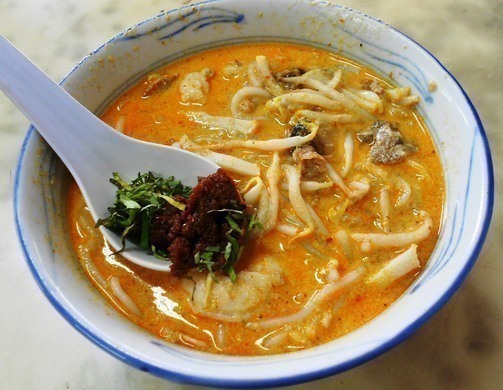 When you speak to anyone in Singapore what is the speciality food in Katong, everyone will mention Katong Laksa. What is so special about this food? The best part is the gravy, where the gravy is cook with coconut milk, shrimp paste and cockles. 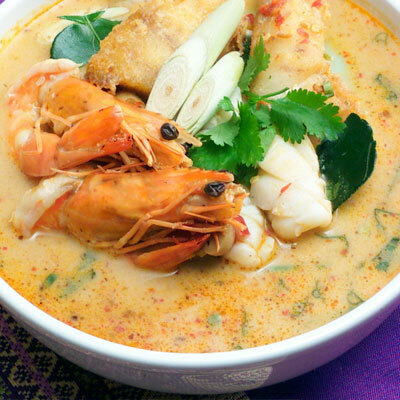 This laksa comes with vermicelli , fresh prawns, sliced fish ball, together with the aromatic gravy. This is a must try food when you come to Katong. 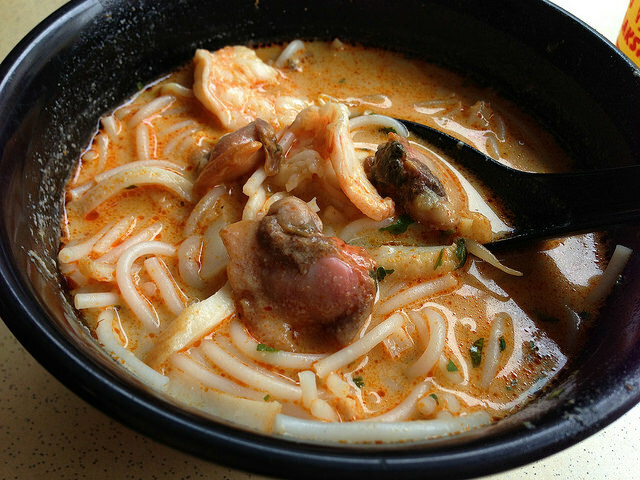 What is unique about this laksa is the vermicelli is very short and you do not need any chopstick to eat. You can use only spoon to have this delicious meal. 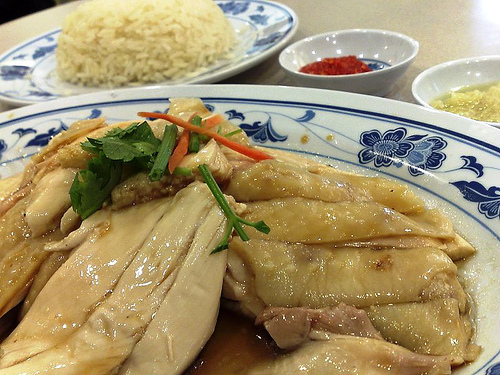 Chicken rice is local Singaporean favourite. How to distinguish between a good chicken rice and a normal chicken rice? 3 main component that contribute to chicken rice, the rice, the chicken and the chilli. The rice must be cooked such that it has strong fragrance, where every bite of the rice is so delicious. For the chicken, there are 2 types of chicken, one is the roasted chicken, one is the steam chicken. 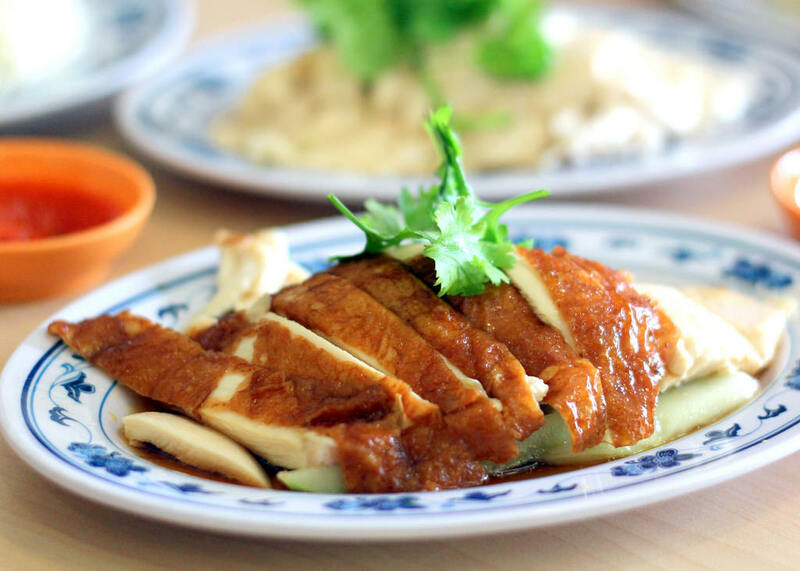 Steam chicken is normally eaten in cold as normally the chicken meat will be much tender. As for roasted chicken, the best part will be the skin as the skin is roasted and the chicken meat is much harder. As for the chilli, it must be able to blend well with the chicken as well as the rice. 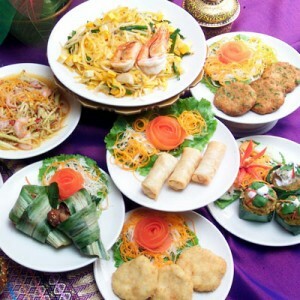 For those who want to try authentic Thailand food, you can find plenty of Thai restaurant at Katong area. However, not all restaurant cooking comes with affordable price. Here are some of the recommended restaurant that comes with delicious cooking and affordable price.